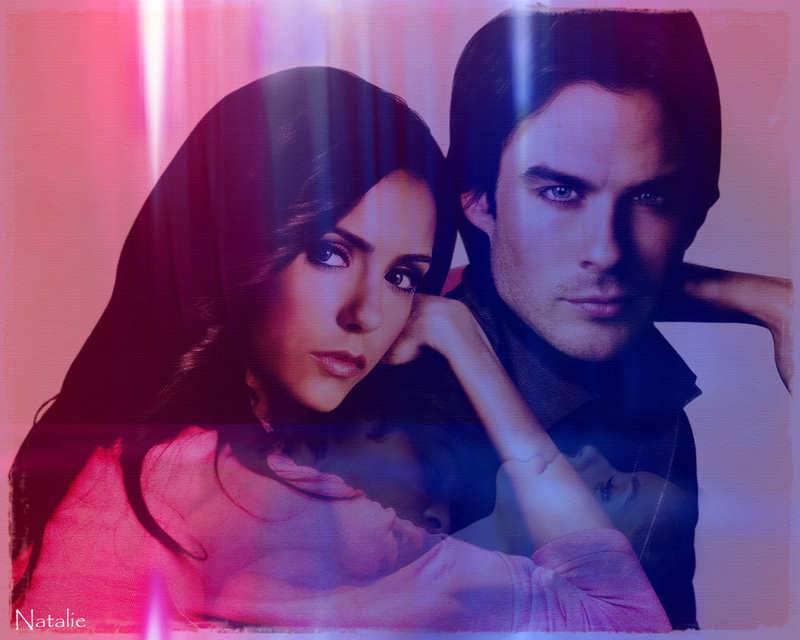 Elena & Damon. . HD Wallpaper and background images in the el diario de los vampiros club tagged: the vampire diaries diaries vampire the vampire diaries wallpaper damon and elena wallpaper. This el diario de los vampiros wallpaper might contain retrato, tiro en la cabeza, primer, headshot, primer plano, en la cabeza, and closeup.